Starting with 24th of October, T-Mobile has made available for the US public the revelation Samsung Galaxy Note 2. They are the first of the US carriers to make the device available for sale. Despite being so promt, T-Mobile has placed a price that is somewhere above the expectation, placing themselves on the first place with the highest price. The price that T-Mobile announced for a new Galaxy Note 2 with a new two year contract is 369.99$. The rest of the US carriers have announced the device for a later release, yet at a smaller price. 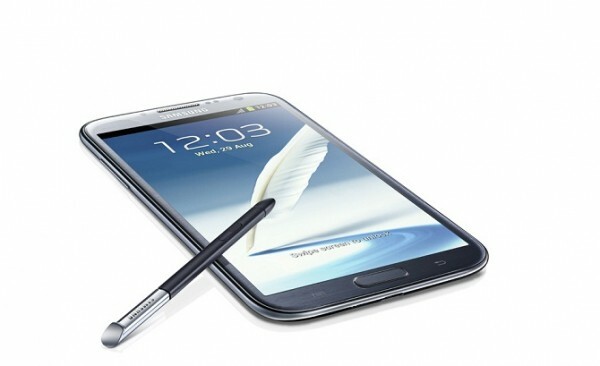 This means that AT&T will sell the Galaxy Note 2 at a price of 299$ with a 2 year contract starting with November 9. Even so, Americans can pre-order the phone starting with 25 October. The AT&T Galaxy Note 2 comes with LTE. Looking at these offers it seems that taking the offer from T-Mobile can be rather adventurous, but we’ll see if the strategy chosen by the US carrier will attract them many users. The T-Mobile version of the Galaxy Note 2 also offers pre-loaded apps such as the Need For Speed game from EA. The rest of the US carriers such as Verizon, US Cellular and Sprint will also give Samsung’s Galaxy Note 2 for sale in the following days. Meanwhile, you should check out Wirefly’s special offer. If you like the idea of a new contract for two years, or even an upgrade, you can benefit from Wirefly’s special offer that gives the T-Mobile Galaxy Note 2 at 279.99$ with a new contract with the US carrier. If you would like to purchase the device without any contract plan, you can have it at 735.99$.